Tomorrow has storms forecast, but there is no denying the weather was spectacular today. At lunch I decided to break routine and go for a walk. I didn’t know where it might take me. I watched some sport for a bit. The sport looked exhausting, so I decided to move on and find a quiet spot to sit. I had the spot all to myself, which helped to clear my head. Nearby I saw some “modern art”. 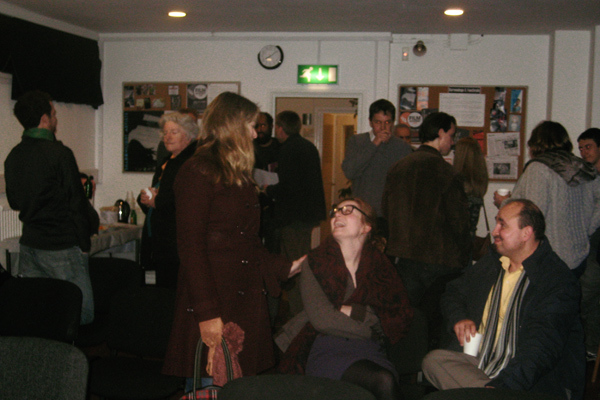 So after a few weeks break, our Film Oxford Production Group met up for the first time this year and our third meeting. My what a long way we have come! The first meeting was an understandably dry affair covering necessities such as rules and regulations. The second meeting was less noisy/crowded and a more cohesive group was beginning to form. The focus of this latest meeting was pitching again – only this time with the prospect of taking one or more projects forward. Above and Beyond (Romantic: one minute short about a boy, a girl and an ice-cream vendor – a match made to last). The Hairdresser (Comedy: “Based on a true story” – the salon’s latest customer causes quite a stir – especially with regards to some of his personal habits). Tonight is the final deadline to submit proposals and we will then all vote on which projects might go forward (based on the most popular choices). Which one would be your personal favourite based on the taglines? This is the part where I sign off for the current year and write a review for 2013 – in a similar vein to my previous review from 2012. Well it’s been a busy year one way or another – juggling family life, film-making and full-time work. Let’s start with the fact there has been a large array of talented individuals who have passed away all leaving behind large irreplaceable voids. Elmore Leonard. David Frost. Tom Clancy. Roger Ebert. Iain Banks. Alan Whicker. Far too many to write about here – therefore I will just mention a few who were personally significant to me. It begins with the recent announcement about the sublime Polish composer Wojciech Kilar – who wrote some particularly stunning scores including The Pianist. I first discovered him on Bram Stroker’s Dracula, this score is a massive favourite of mine. Then there was the amazing trumpet player Derek Watkins who had the honour of playing on EVERY official Bond score from Dr. No all the way up to Skyfall. This is some achievement considering the variety of composers over the years. For me, he is that brassy Wah-Wah Bond sound – it is never going to be quite the same again without him. In May the king of stop-motion Ray Harryhausen passed. He created many of the most iconic movie monsters – for me there is still something about stop-motion which is always going to trump cold and clinical CGI (even if I still can’t quite put my finger on it!). A number of high-profile actors passed including Dennis Farina, James Gandolfini, Joan Fontaine, Karen Black, Marcia Wallace, Mel Smith, Paul Walker, Peter O’Toole, Richard Briars and Richard Griffith. The largest shock for me was in the form of Lewis Collins (best known as Bodie from The Professionals), who I think would have made a superb Bond and marks a serious missed opportunity for the franchise. January saw me join SoundCloud under the pseudonym Satorious. Little did I know that music composing was to be my main focus for 2013. My music composition is all from an untrained ear which develops every day (and hopefully also improves?). I’ll openly admit that some of my compositions still require further work/tweaking. It began with a very basic lullaby (written whilst lamenting the fact my children don’t want to go to sleep most evenings). I had no idea where this might take me. I guess I could have predicted back in May this was the way I was heading – but for some reason it still wasn’t entirely clear in my mind. By October I had pretty much worked it out! Personally I feel the tunes are not a popular part of this blog. I will monitor how future releases go – but have something waiting in the wings for 2014! In this time I orchestrated some pretty dodgy renditions including things I really shouldn’t mess with such as On Her Majesty’s Secret Service. The renditions have always proved more popular than my original material (perhaps unsurprisingly) – but I cringe at them! 🙂 I’ve tried to counter this by linking the tunes in somehow – usually via some casting announcement for Doctor Who or Batman. If asked my which my personal favourite compositions were for this year, I’d go with Hostile Takeover (in terms of how much fun it was to write) and Petal (which is just special as I wrote it with my daughters in mind). I also did some film scoring over the year – off the back of Legacy in 2012 (which was a difficult but ultimately rewarding score to do). Film scoring is still the area I enjoy most. I even managed two instances of “speed-scoring” for After the Bombs and the International 48 hour film-making challenge (which turned me in a Zombie!). Speaking of Legacy, the film won the Audience choice award in the Cardiff short-film festival. Audience choices award have a tendency to be more of a popularity contest, but to be fair – this wasn’t the case for Legacy – so the win means a tremendous amount to the team. Thanks to anyone who voted! Finishing off Spare Change for Virgin media shorts and finally getting that Etiquette DVD out to people (admittedly a year too late!). Taking my daughter to the cinema for the first time and seeing the wonder on her face. This was a magical experience I hope to never forget! It wasn’t all successes however, at least one project has fallen by the wayside – The Lonely Bear. This said, I have revisited past projects on many an occasion – so don’t write this off yet! What do I hope for 2014? To be honest I felt 2013 was a crowded and difficult year – it was unstable and largely unfocused (despite the successes mentioned). My priority is to address this instability and do further work with film scoring and on local projects which allow me to spend more time with my family. Hopefully it will be a much quieter but more focused year. As keen as I am to direct again (and have a project in mind), the timing isn’t quite right. Fingers crossed everything might ultimately slot into place before the end of 2014. And with that, I sign off from 2013 and I wish all of you who read my ramblings – the very best for 2014 – hope you all have a brilliant one!! There are some ridiculously talents carvers out there! Incidently one of the nicest beers I have ever tasted (called ‘Alloween) was a pumpkin ale – the best description would be it was like drinking toffee but in beer form! Anyway, to celebrate (and to post my favourite musical number from the children’s favourite film of the moment: The Nightmare Before Christmas) is a cover of “This is Halloween”. This guy really nails the voices. Here is the original so you can compare how good this guy’s voice work actually is! Despite the fact Tim Burton gets the lion’s share of credit (being as has his name in the title), this film was actually directed by Henry Selick – who would go on to form Laika (a film company I love). 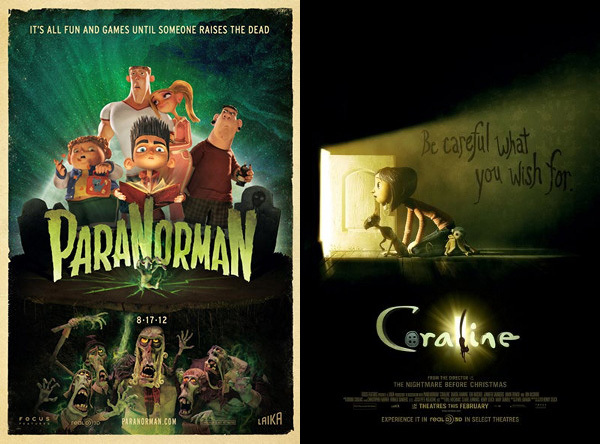 They have also made a couple of similar “dark” stop motion gems “for children”: Paranorman and Coraline. Both of which are pretty dark and not really for children. Which means children will be scared to death and love them! 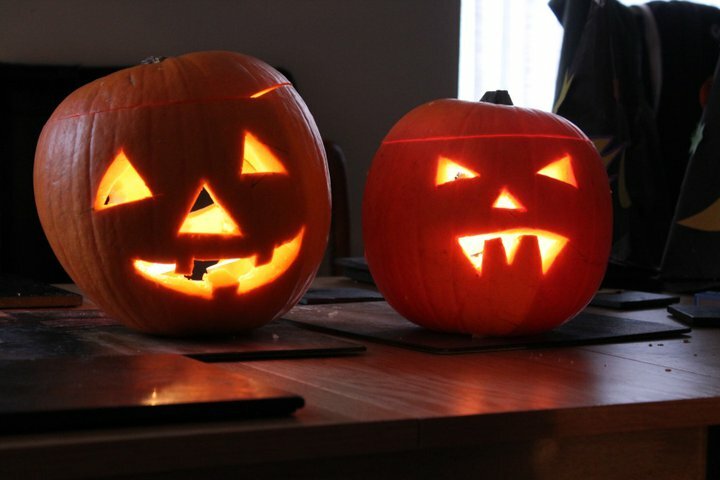 Happy Halloween to all of you big and small children out there! !